This weekend the Paupack Blueberry Farm is participating in Wallenpaupack Area High School’s annual craft fair. 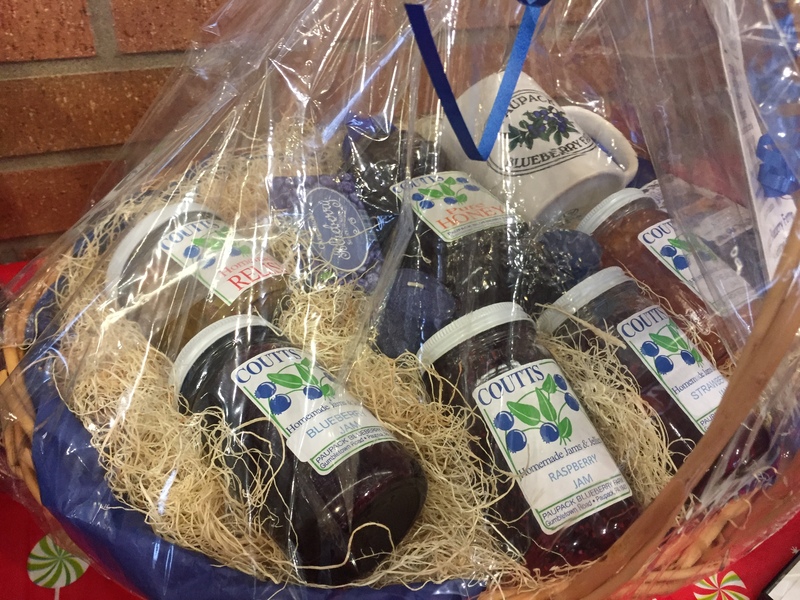 We donated a beautiful gift basket packed with jams, jellies, and gifts from our store! Good luck to all participants and remember, all proceeds of the raffle go toward a great cause – the WASD Band. We also have a large assortment of these items for sale at our table, offering several gift box options for the holiday season. Missed out on the craft fair? Reach out to us via our contact form to place a gift basket order! Supplies are limited, so act fast! Are you open during the week? If so what are the hours? Thank you.